Great Kneighton forms part of a major new housing and mixed-use community in the Cambridge Southern Fringe Growth Area and will provide 2270 new homes, open space, education, sports, recreation, health and shopping facilities. Proctor and Matthews naturally took the traditional urban spaces of the university city as a model for developing its housing proposals, to generate a hierarchy of scales, spaces and housing types to suit different elements of the masterplan. Proctor and Matthews has executed the greater aspirations of the scheme with consideration and care. The creation of the ‘Great Court’, a centre piece of medium density housing around a potentially compromising roundabout, has been completed with skill and great success, creating a robust and welcoming focus to the scheme. Beyond this, the green landscaped alleyways that run back away from this between slim and slightly staggered homes provides meandering intrigue to users and owners. 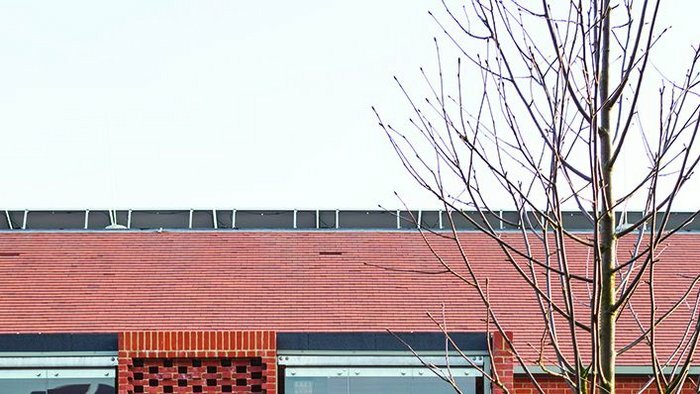 Although design and build, attention to detail in the brick and timber detailing has been high, with the project’s complexities and requirements carried out with great resolve. Due to the fundamental depth and integrity of the scheme the judges put it forward for both the region’s ‘Building of the Year’ and ‘Architect of the Year’.